In a digital world, many of our students are motivated by the ways their achievements, skills and progress are recognized during gaming scenarios. 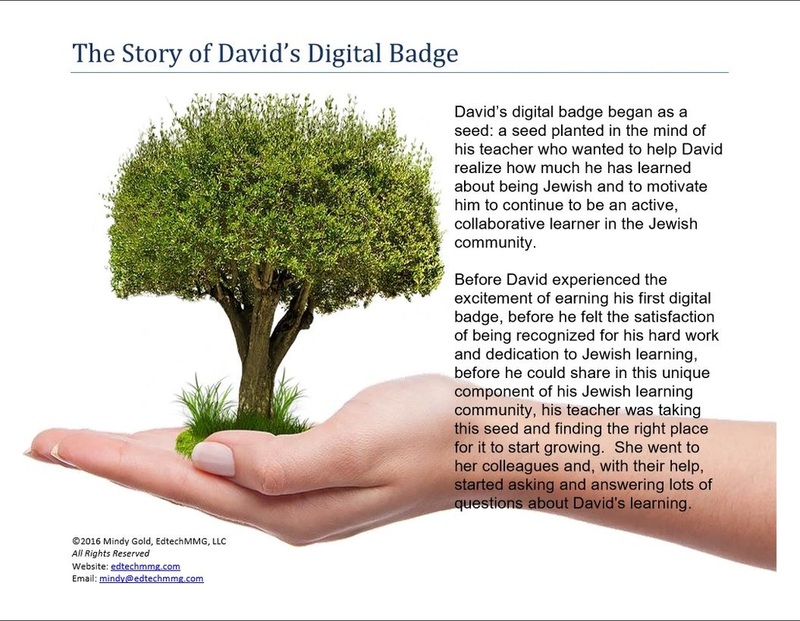 Digital badges were born out of the desire to apply the motivating use of achievement recognition during game-play and the competency-based approach of badges (e.g., similar to those used in scouting programs) to learning in other environments (e.g., school settings). 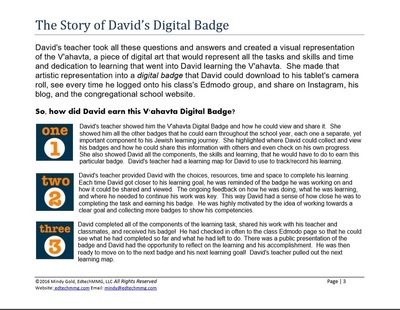 EdtechMMG’s Digital Badge Workbook is designed to guide you through the creation and management of an engaging, goal-driven, and cost-effective digital badge program within a community-based framework and Jewish educational setting. 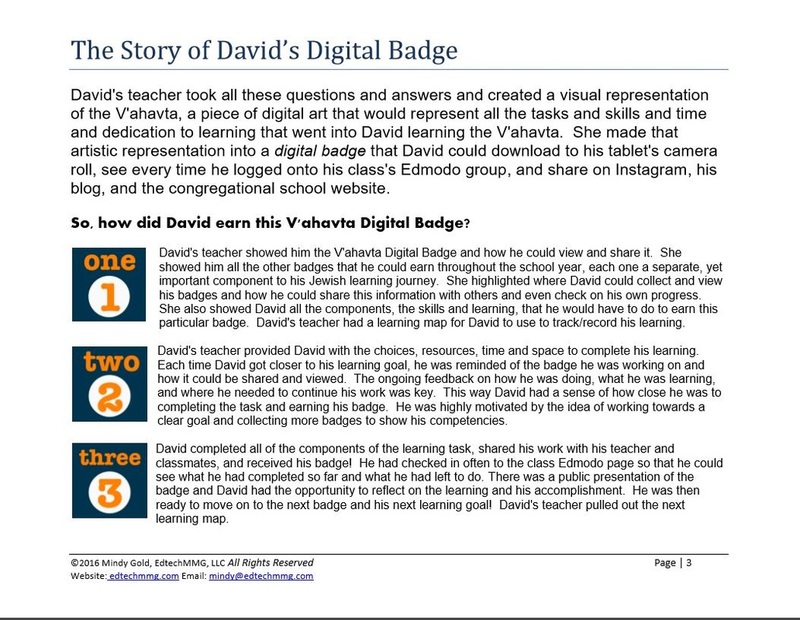 What could a digital badge program look like in your school? Thank you very much for helping us take a vision of making digital badges a part of our school into a reality. 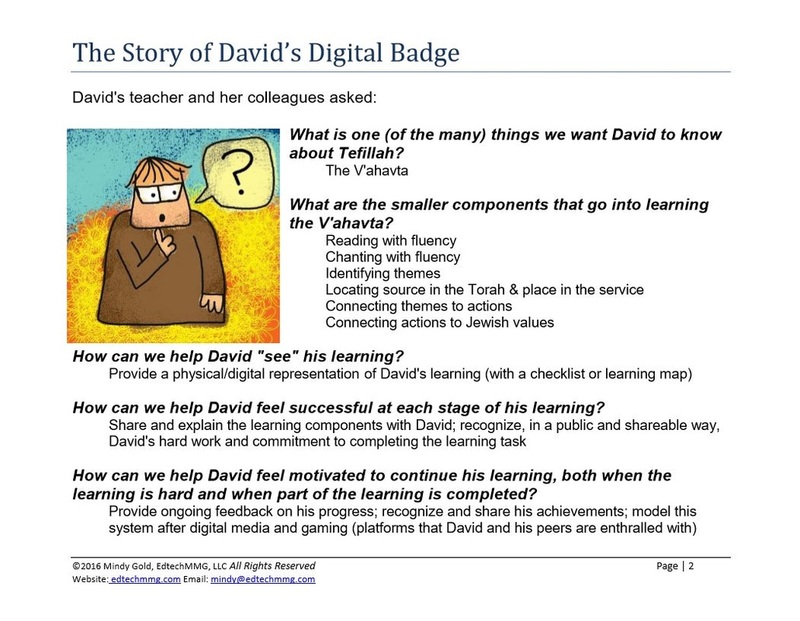 From our first conversation on Jewish Education and technology through today you have been a part of this ongoing collaborative process with me. I loved how you met with our teachers and parents via the Zoom interface to describe the Digital Badge Workbook that customized to fit our needs. Under your continued guidance, we look forward to taking the next steps in recognizing our students accomplishments. 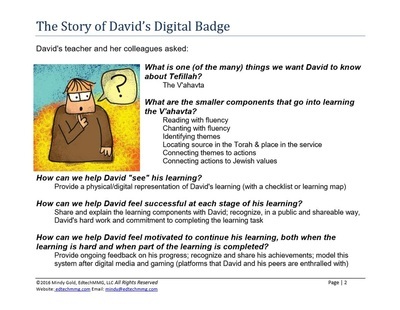 As we discussed, we will be displaying these digital badges in the synagogue and school buildings. Todah Rabbah again.